You may have already read the 129 data–Lore about the Guardians? It is now time to get these 28 new data by yourself! Any ship can be used, however I’d advise you with a medium-sized solid vessel to counter the potential aggressive pilots in the vicinity; yes, you will have to brave a little the dangerous Open World. An Asp Explorer obviously does the trick, a Python, a Diamondback, a Cobra – your call. 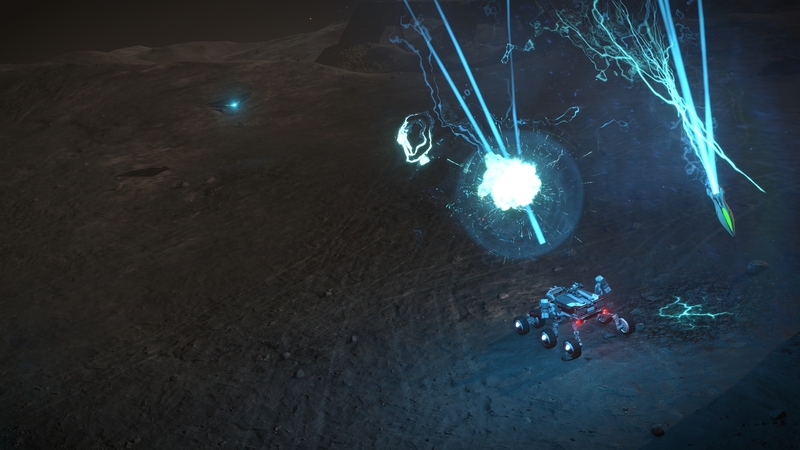 30 LY jump add a nice comfortable touch and Sulphur/Phosphore is nice to have in order to refuel your SRV. 16 to 18 units free in cargo is recommended in case you decide to store some ancient items in your ship, it is much more convenient and quick in the long run than to mop on the ground in search of an item. The best is to fit the new Class 4 anti-corrosion cargo that you can unlock at a Tech Broker Human. 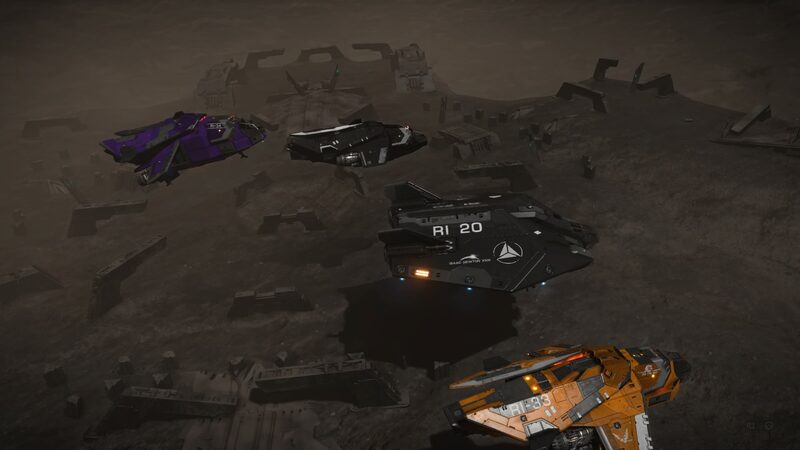 Of course, a SRV Scarab is mandatory in order to investigate. To kick it off, it’s not necessary for you to unlock Ram Tah. 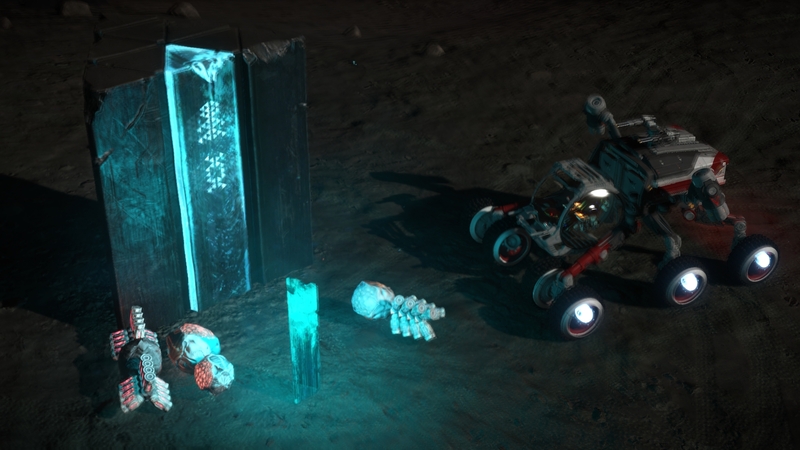 There are 6 ancient items and 3 Thargoids items and these are the ones allowing you to collect the valuable data of the Guardians. You are likely to be destroyed when collecting Thargoids tissue samples. 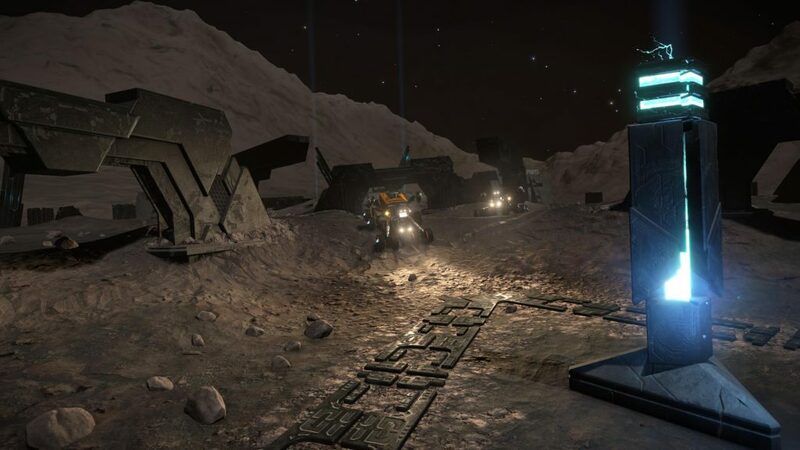 You are free to collect all three samples at the start of your mission or rather the end after scanning the data that does not require these Thargoids objects. 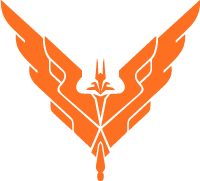 Use a Research drone controller on the desired Thargoid Interceptor (Cyclops, Basilisk, Medusa) then keep your ship’s temperature under 15/20% heat so you do not get spotted. The Thargoid will try to intimidate you with Thargons, but do not run away if you are under the required heat and 1/2km away from it. When it comes to scan you, boost and then turn around, launch the Research drone and keep your ship and your head cool. Collect two ancient items of each type (or at least one of each and two orbs) on the surface of SYNUEFE TP-F B44-0 CD || 1 || 59.33 // 15.1. Thargoid probe, closest to the ammonia planets of HIP 15310, in signals threat 2 // Much easier in non human-signals thread 0, 5 or 6 in systems attacked by Thargoids. Thanks to Ram Tah, you will be able to see every Guardians Structures via your left hand panel as you approach it from at least 1000ls. /!\ Important note: Once you scan an obelisk, you will hear the “incoming mission critical message” but wont always receive the message immediately. At this point, check your rewards and see if it has gone up by 1 million, If so, the combination was correct. The missing message will arrive on your next scan, making it seem like you got the data from the second obelisk you scanned. Details: This is very revealing. The data appears to explain why the Thargoids seeded a number of planets with barnacles in what eventually became Guardian space, millions of years ago. As we know, Thargoid barnacles are designed to extract resources from a planet and transform them into meta-alloys – an essential ingredient in the creation of Thargoid ships and technologies. The Guardians surmised that for the Thargoids, seeding a planet with barnacles is an important process in preparing an area for occupation. Details: This data details the start of the conflict between the Guardians and the Thargoids. Several thousand years after they seeded planets in Guardian space with barnacles, the Thargoids returned. Of course, they discovered that the planets they had seeded were now occupied by the Guardians! 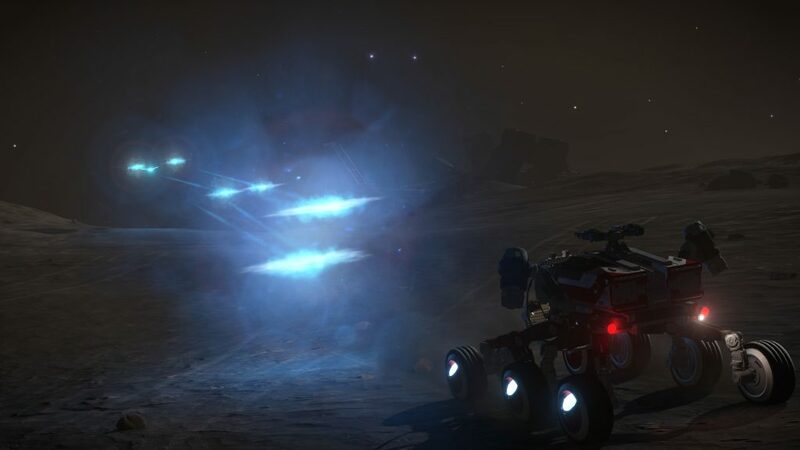 The Thargoids immediately launched an assault, making no effort to communicate with the Guardians, which tallies with the Thargoids behaviour in human space. Details: This data supports my theory that the Guardians were gifted linguists. At some point after the war with the Thargoids began, the Guardians were forced to make a partial retreat. It seems they were still trying to communicate with the Thargoids, and were reluctant to take up arms against them. Eventually, they managed to develop sufficient understanding of the Thargoids language to communicate, but it did the Guardians little good. The Thargoids were determined to continue hostilities, and the Guardians were forced to employ more aggressive methods to address the Thargoid threat. You might need a Wing for the first system. Details: The data in this log details the methods used by the guardians against the Thargoids. At first they deployed ground troops, but when this proved ineffective they started to use drones – autonomous machines that felt no fear fatigue or uncertainty. 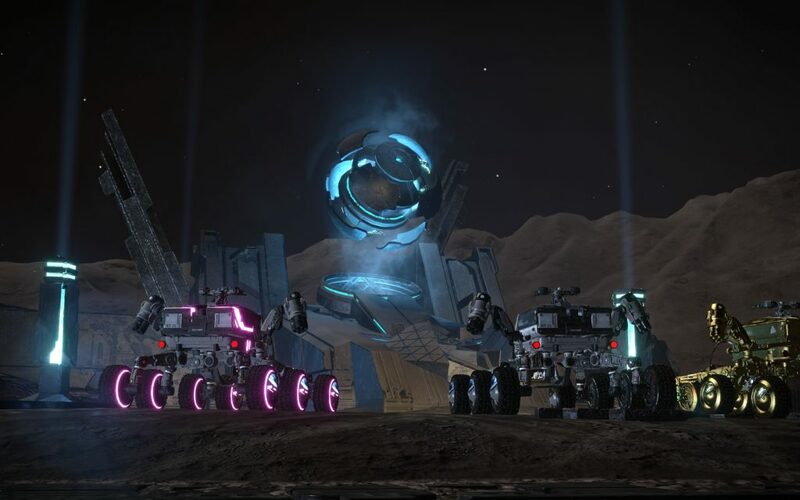 These war machines became highly sophisticated in a relatively short amount of time, and were soon able to identify and target anything that utilised Thargoid engineering. Even more remarkably, Thargoid bio-mechanical technology was engineered to recognise anything of Guardian origin. That explains why, millions of years after the conflict, Thargoids devices still react aggressively to the presence of Guardian technology. Details: This log describes the end of the conflict between the Guardians and Thargoids. It appears the Thargoids entered Guardian space unprepared for a protracted military campaign, and after facing a relentless onslaught from the Guardians’ war machines they were forced to retreat. The log also mentions that the development of the Guardains’ war machines created a schism in their society, which may have seeded the civil war that occurred later in their history. Details: This log details the Guardians’development of artiﬁcial intelligence. It appears the Guardians experimented with artiﬁcial intelligence prior to the invention of the monolith network, but the creation of the network and the knowledge-sharing it facilitated dramatically accelerated the rate of progress. Eventually. the Guardians’ experiments bore fruit, resulting in the ﬁrst fully sentient machines. These Constructs were seen as a means to enhance the Guardians’ technological mastery, and were integrated into various aspects of their society. Neural implants were developed that connected the Guardians with both the Constructs and the monolith network in a symbiotic circle. It is truly remarkable. Details: This data describes the motives behind the second Guardian civil war, which ultimately lead to their demise. The Guardians had a deep veneration of nature, and many of them saw the development of advanced technologies, such as artificial intelligence, as a perversion of the natural order. A schism emerged between the nature-worshipping Traditionalists and the technologically minded Progressives – a divide that widened with alarming speed. Efforts where made to defuse the rising tension, but the traditionalists felt alienated by the rapid rate of change. Artificial intelligence and the development of the monolith network became scapegoats for all manner of social ills, and the traditionalists began to clamour for a return to simpler times. Ultimately the ideological divergence proved insurmountable, a second civil war erupted, quickly engulfing most of the Guardians’ star systems. Details: This log reveals more about the sides that fought in the second civil war. In its early stages, the war was fought primarily by soldiers, but within a decade – and after significant loss of life – most of the fighting was conducted remotely. The progressives fought with automated combat machines. These engines of war took various forms, from autonomous drones to vast, lumbering dreadnoughts imbued with limited artificial intelligence. On the other side, the traditionalists relied mostly on biological weapons. They used germ warefare alongside long-range missles loaded with corrosive enzymes, which could target the enemy’s war machines from a great distance. Details: This log outlines the downfall of the traditionalist faction during the second Guardian civil war. The main issue was the internecine nature of the conflict, which raged for over one hundred years and brought the Guardians’ civilisation to its knees, retarding any further social development. But the challenges facing the traditionalists were exacerbated by the fact that they devoted most of their resources to honouring the dead. From what I can gather, they regarded the departed in much the same way as the primitive cultures of Sol, constructing vast shrines to honour the deceased. As their situation worsened, they became increasingly obsessed with these practices. With so much of their resources dedicated to these rites, it is little wonder that their enemies’ war machines were able to overwhelm them. Details: This log concerns the end of the second civil war. Remarkably, it seems the artificial intelligence developed during the conflict became fully self aware at some point, and were horrified by the destruction unfolding around them. It’s difficult to get a sense of exactly what happened next, as the Guardians were not privy to the Constructs’ thoughts. But reading between the lines, I believe the Constructs determined that even if peace was restored the Guardians would never be able to transcend their violent natures. I believe they decided that the only way to preclude further violence – while giving their own burgeoning society the best possible chance of survival – was to destroy what remained of the Guardians’ civilisation. By this time, the Constructs had complete control of the Guardians’ munitions and automated war machines. Their attack, when it came, was swift and merciless. Strategic nuclear and chemical-weapon strikes were executed with a precision that only a machine race could accomplish. The few that survived were able to record what had happened, but they soon succombed to radiation poisoning. The Guardians were utterly destroyed. Details: This log describes the Guardians’ weapon technology. It seems they developed electro-magnetic projectile weapons early in their modern period, utilising the same technology they used to lanch their first spacecraft. These weapons ionized the path their target before firing focused bolts of energy along the ionized track. they were crude and unpredictable at first, soetimes resulting in the death of the wielder, but once the Guardians learned to regulate the ionisation process they became more stable. Details: This data relates to Guardian Shield technology. Of course, i already knew they had developed extremely effective shields, capable of protecting entire cities and even of withstanding orbital bombardment. And i was aware that their shields were effective against both laser weapons and kinetic projectiles. But is remarkable to consider that this technology was developed millions of years ago, relatively early in the Guardian’s evolutionary timeline. Details: This data provides further insights into the Guardians ship technology. We already know how ecologically conscientious the Guardians were, and of their assiduous avoidance of rockets and fossil fuels, so it isn’t surprising to discover that their first spacecraft were fired into space with electromagnetic launchers. Of course, this was an imperfect system that did not allow pilots to adjust their course after launch. Over time, the Guardians starships became much more sophisticated, but their approach to space travel remained rooted in a respect for the natural world, and their interplanetary expansion was fuelled by clean nuclear fission and fusion. Their ships could travel at speeds approximating those of our own present-day craft. Unfortunately the data included no schematic information, so it seems likely that the details have been lost. Its a shame – im sure the pilots federation would have liked to know more about the Guardians spacecraft. Details: This data concerns the automated defence systems found at Guardian sites. You may have already encountered them. The data indicates that these Sentinels date from some time prior to the second Guardian civil war. They are designed to respond aggressively to any unauthorised activity around the ruins. If you are forced to defend yourself, kinetic weaponry would be your best form of attack, since the Sentinels have no shields. Sentinel weapon parts and wreckage are of considerable value, so the loss is not signiﬁcant. Details: This log details the construction of the panels found at certain Guardian sites. As I suspected, the panels are made from a unique alloy, manufactured from a metal I have yet to identify. Even more remarkably, the panels appear to incorporate nanobot technology. which activates when in proximity to a foreign body. This explains the faint glow given off by many Guardian materials and structures. This is an extraordinary discovery. 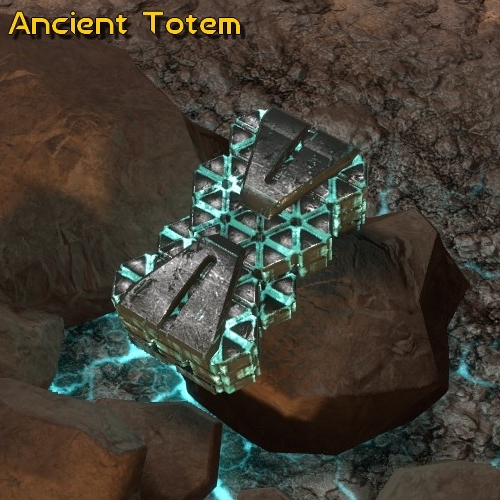 Humanity has dabbled with nano technology, but evidently the Guardians’ achievements far surpassed our own. 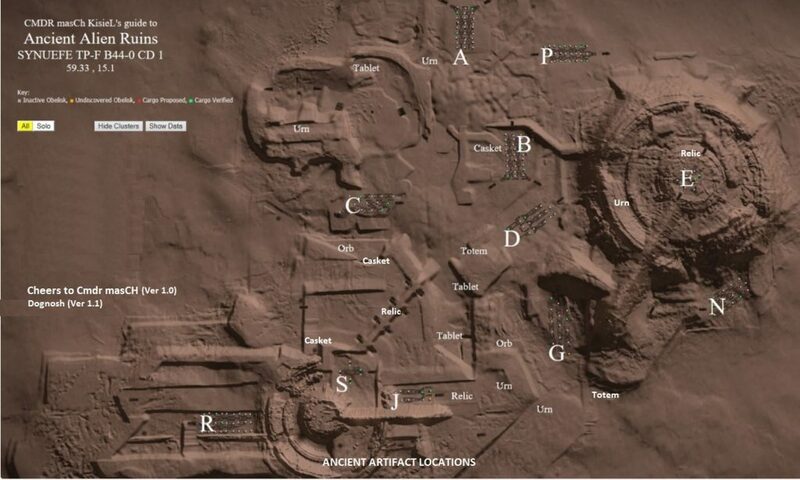 Details: This data relates to the objects we have termed “Guardian relics”. 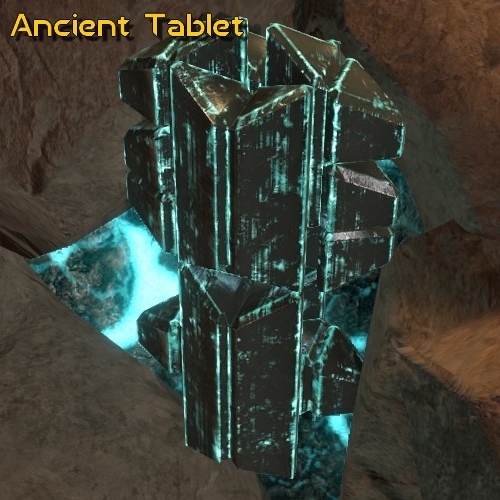 These blue crystals are part power source, part computer, part key — and apparently played a central role in Guardian technology. Remarkably, it seems the crystals were grown rather than mined. The log is light on details, but from what I’ve been able to piece together, each crystal was designed to fulﬁl a specific purpose within the Guardian’s technological network. 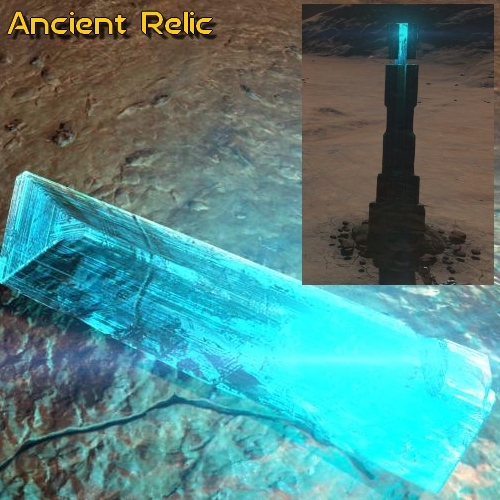 And, like the panels found at many Guardian sites, the relics incorporate nanobot technology. Details: These records describe ancient guardian weaponry. 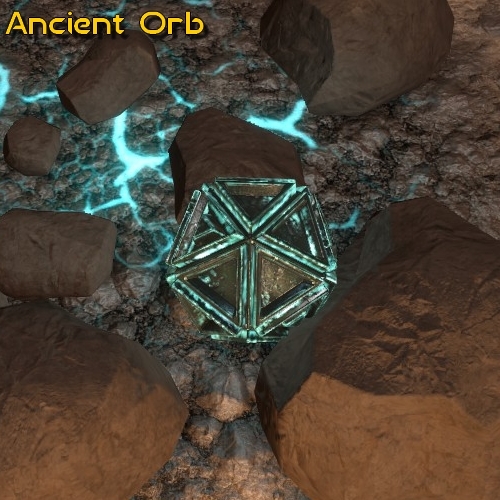 It seems the guardians employed three different designs: an energy-based weapon similar to a rail gun, a projectile weapon that fired concentrated plasma, and a weapon that fired charged crystal shards at extreme velocities.These weapons were apparently powered by the crystals we have termed “Guardian Relics”, and the log describes how the relic generates and distrobutes energy within the weapon. This is a significant discovery, as it means it might be possible to recreate these weapons, or at least to design our own versions of them. Its extremely exciting. Details: This log details the Guardians’ faster-than-light technology. It seems their drives produced a far greater jump range than anything humanity has so far developed. Regrettably, however, the data in the log is exceptionally dense, and it could take years if not decades to fully understand it. What is clear is that the Guardians’ hyperspace technology was very different from our own. Details: This log elaborates on the nature of Guardian glyphs. As you know, accessing a Guardian codex requires the use of two corresponding Guardian artefacts, with the glyphs on the codex denoting which objects are required. But this log indicates that the Guardians’ written language often incorporated pairs of characters. suggesting that this dual system was present in other aspects of their culture. Details: This log details the Guardians’ power plant and distributor technology. The efficiency of the technology far exceeded anything the human race has yet developed, and the yield was huge in relation to the input required. Unfortunately, the specifics of how this was achieved are not described in the log. But who knows? Perhaps the secrets of the Guardians’ energy technology will someday be discovered. Details: This log describes, in general terms, the materials used in Guardian hardware. It’s clear that starship hulls, and the guardians equivalent of ship modules, were made of the same lightweight alloy as the panels found at many guardian sites. Unfortunately, this alloy incorporates a metal i have yet to identify, which means i will be unable to recreate it. What is clear is that this alloy was both lightweight and highly durable.As for their shield technology,we already know that it was highly sophisticated, encouragingly , the log describes it in considerable detail. Given time, i might be able to use this data the develop some exceptional defensive technology. Thanks to Dave Hedgehog, I have been able to collect this data. The previous system was bugged. Details: This log is unusual – it appears to refer to another group of Guardian sites, far from the ones we’ve already discovered. I realise that might sound disappointing, but in fact this ﬁnd is extremely important. The log suggests these undiscovered sites might contain blueprints not only for Guardian engines, but for Guardian starships! Just think — someday soon, we might uncover a Guardian ruin that will allow us to manufacture ships and ﬁghters incorporatingGuardian technology. It makes my skin _prickle just to think of it. And who knows — maybe you’ll be the one to ﬁnd it. Details: This fascinating log relates to variations in the Guardians’ gestural language. As we know, the Guardians shared a single language with only minor regional variations, and even after they colonised other planets they continued to share a common tongue. But, after the start of the second civil war, it seems that each side developed its own distinct version of this gestural language. This allowed each faction to communicate in code, so as to safeguard information from the enemy. Details: Now, this log gives a fascinating insight into the Guardians’ neural-implant technology. The Guardians used these implants to connect cerebrally with their Al creations. Unfortunately, the technology was still in its infancy when the Guardians were destroyed. 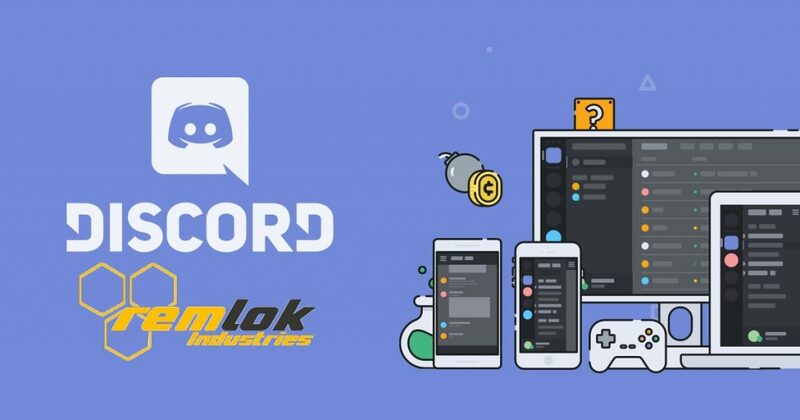 Apparently, the implants created a symbiotic link with the Constructs through implantable ﬁbres, which connected the central cortex to a multimodal interface within the Construct. Essentially, the Guardians were able to direct their creations with thought alone – at least until the constructs rebelled. Details: Extraordinary! 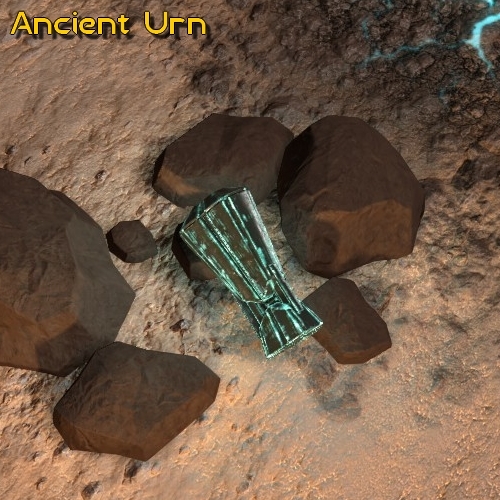 This log suggests there are many more Guardian sites out there, waiting to be uncovered. And I mean hundreds…perhaps even thousands. Unfortunately, some of the data in this record has degraded. If there was a map inside this log, it has been lost. Who knows what remarkable knowledge might be hidden in these alien ruins? the more of the Guardians’ extraordinary technology we uncover, the greater the potential impact on our own technology. Locating further Guardian sites could help us take giant steps forward. Details: Okay, from the Guardian sites we’ve previously investigated, we know that the Guardians’ artificially intelligent Constructs were responsible for controlling the war machines and other military apparatus, as well as overseeing civilian technology and infrastructure. And we know that these Constructs eventually gained sentience and destroyed the Guardians. But it appears that it was not the military Constructs that made this choice. The Constructs for civilian utility and those for military operation were independent of one another, and it was the non-military Constructs that decided to attack the Guardians. The military Constructs were opposed to this decision, but somehow the non-military Constructs won out, forcing their military counterparts to comply with the attack. What a remarkable discovery. It makes me wonder what happened to these Constructs, and what they eventually became. Were they destroyed? Or do they still exist, somewhere in the vastness of space? Details: This log details the main applications of Guardian Constructs outside the military. It seems that before the second civil war. most menial work was performed by Constructs. But despite this. the Guardians did not become idle. On the contrary — they devoted themselves to artistic and athletic pursuits. Many Guardians participated in what we would call sporting events. although it seems these events incorporated some ritualistic elements.One cannot help but wonder what would happen if humanity made more use of labour-saving technology. Would we become a more cultured people. as the Guardians did? A shame, the long-standing convention against the development of artiﬁcial intelligence means we will probably never ﬁnd out. 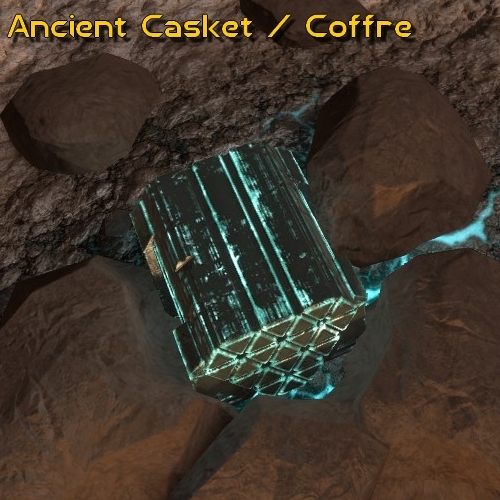 Thanks to all the pilots CMDR and scientists investigating about this exciting piece of Lore and mysteries!